Our fun and creative mouse pads will add character to your work space. 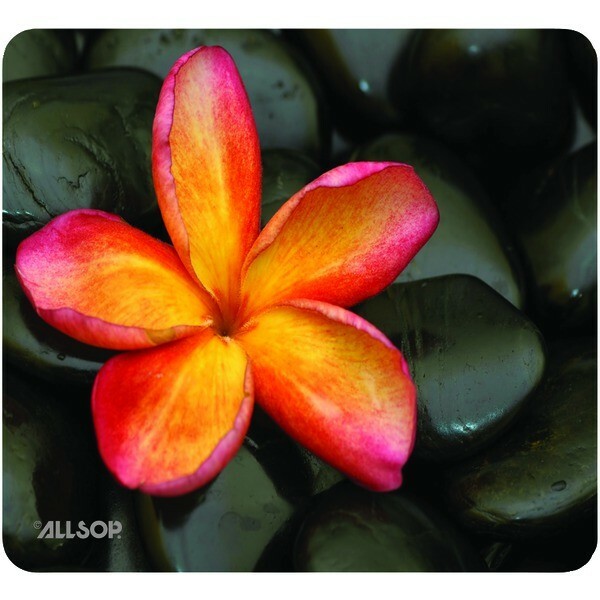 This mouse pad has a rubber non-skid backing and soft fabric top with a screen printed image of a bright flower. This is the perfect addition to brighten up your desktop. Using a mouse pad will increase the effectiveness and life of your mouse.